Move aside, Pumpkin Spice. The true sign of fall is a new season of Survivor, and the 35th season is a three tribal battle of Heroes vs. Healers vs. Hustlers. In all my seasons of (inaccurately) trying to predict a winner, no season has been quite as hard as this one. I like the cast across the board but really had a hard time deciding who could win it all. That said, when it's hard to predict a winner and unpredictable season should be ahead! After too many hours of reading player bios, watching cast videos, and listening to endless podcasts, I've sussed out my prediction of who will be the Sole Survivor. This has taken me hours to decide upon and a ton of rambling conversations where I changed my mind four or five times. 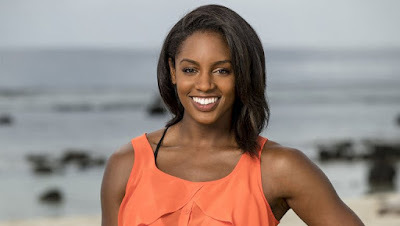 Ultimately I chose Desi as my pick to win because she seems extremely well-rounded. But the other survivors also can see Desi is a threat, so hopefully she can ingratiate herself well and put bigger targets in front of her. Now for lots of honorary shout-outs. I love Chrissy and hope she goes far and my main reason for not picking her was a young cast, which is something she fears as well. Ali is awesome but the Hustlers tribe looks destined for many Tribal Councils. Roark and Ryan both stuck out as superfans, but perhaps with Millennials vs. Gen-X on the mind the big fans could be targets due to Adam's win. Ben is also a big fan of the show and was a complete pleasant surprise and he might be that one that truly snuck by me for winner predictions. But truly this season, minus a few here and there, pretty much anyone could take the title. Now it's your turn! Time for YOU to cast your pre-show winner prediction. Who do you think will be the winner of Survivor: Heroes vs. Healers vs. Hustlers? VOTE BELOW - voting closes right when the east coast premiere begins!